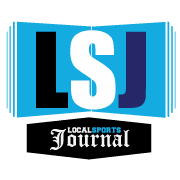 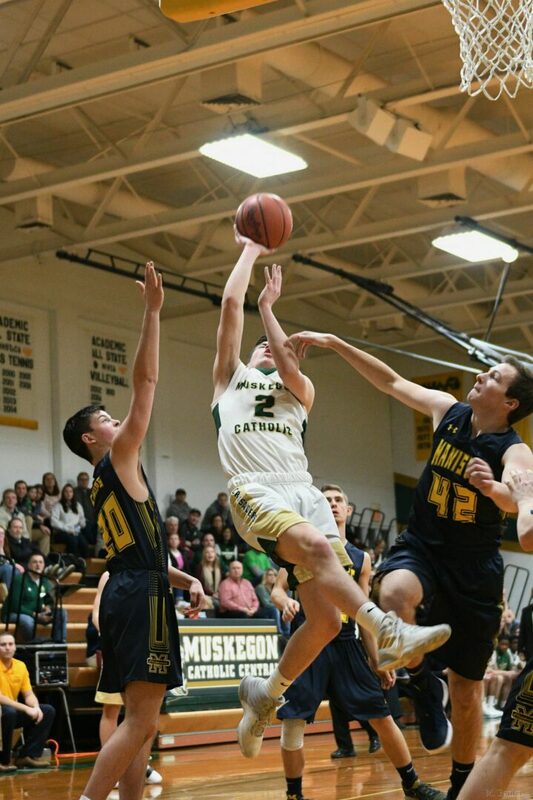 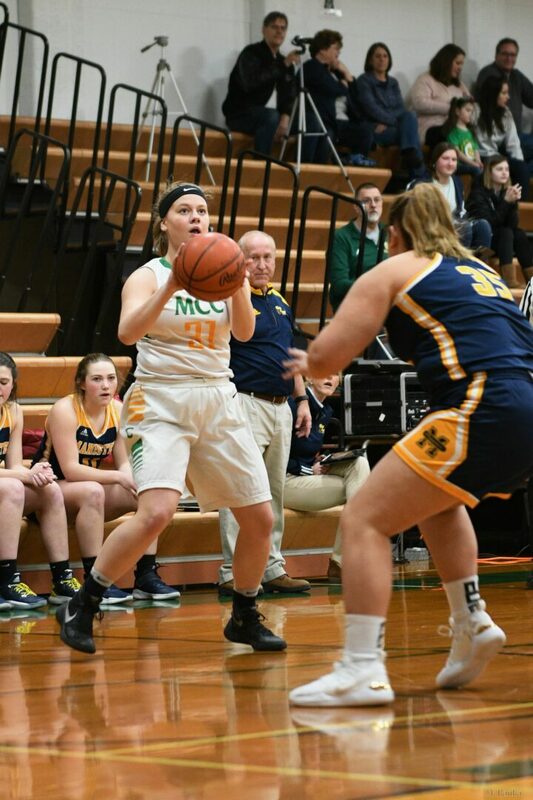 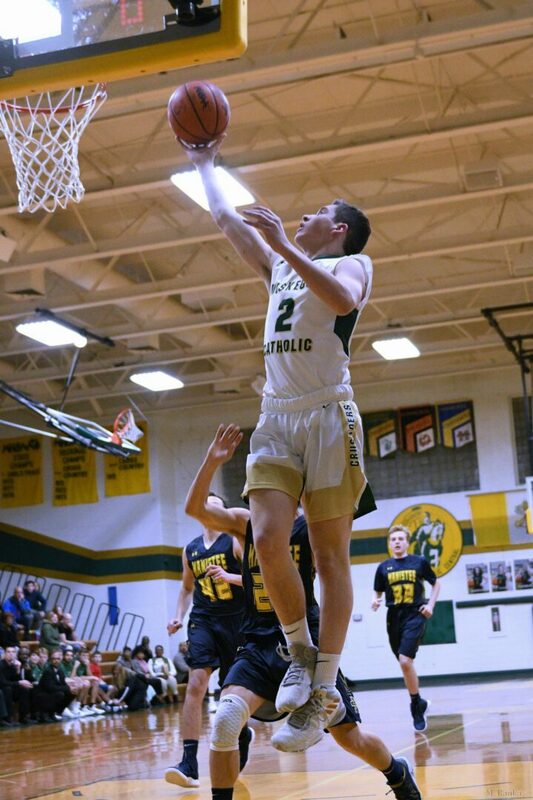 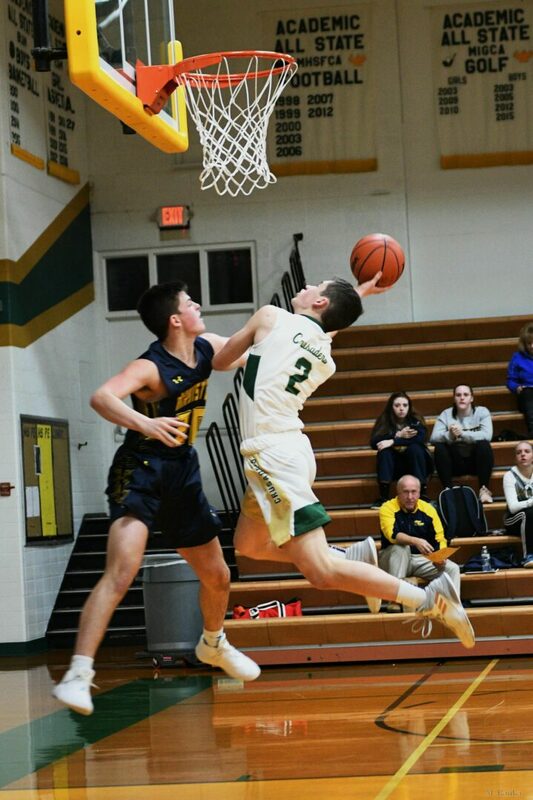 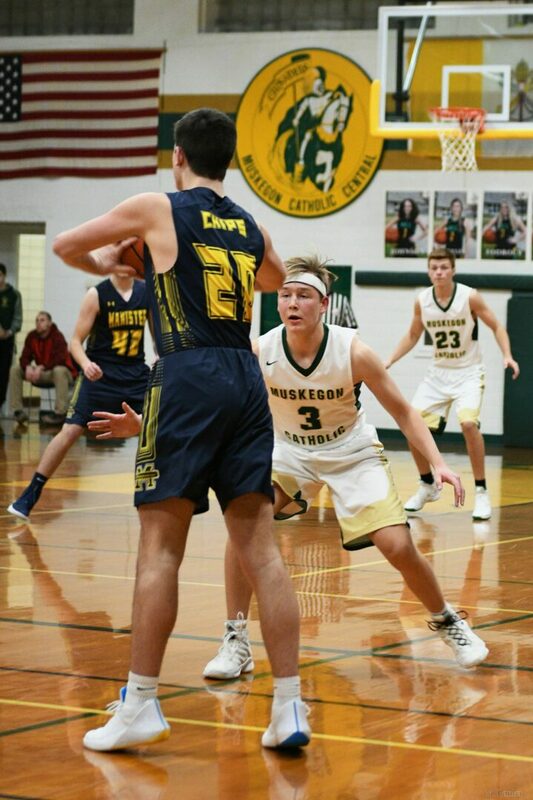 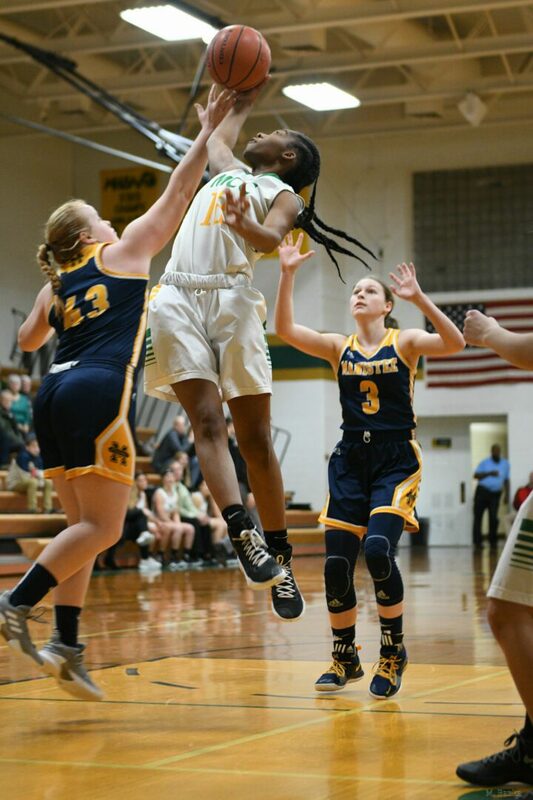 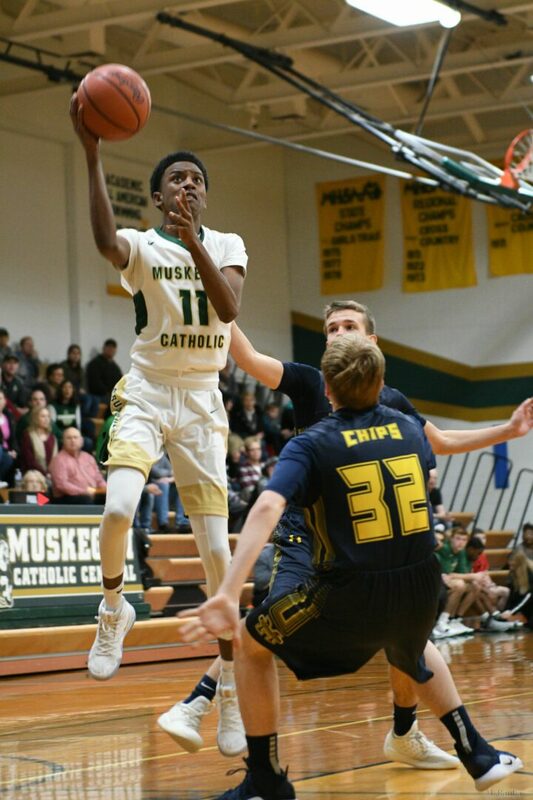 The Muskegon Catholic girls and boys varsity basketball teams faced visiting Manistee in Lakes 8 matchups on Friday, Jan. 11. 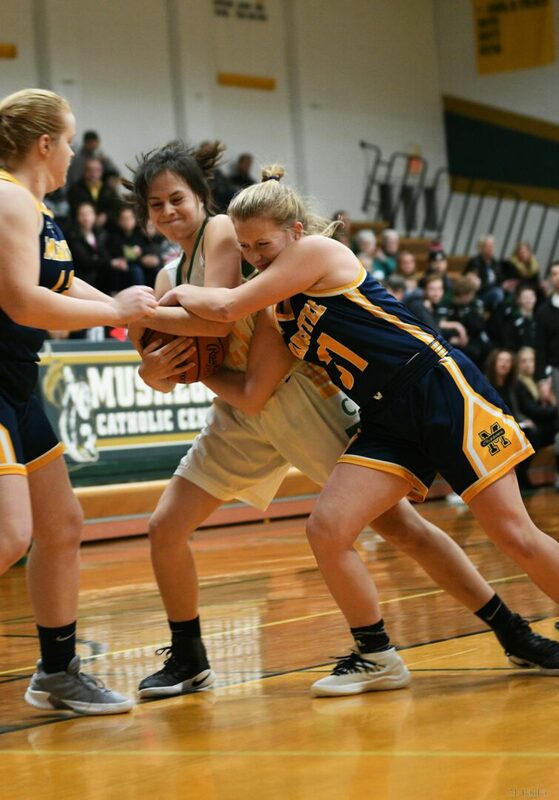 The boys finished with a 47-34 win while the girls squad fell, 53-19. 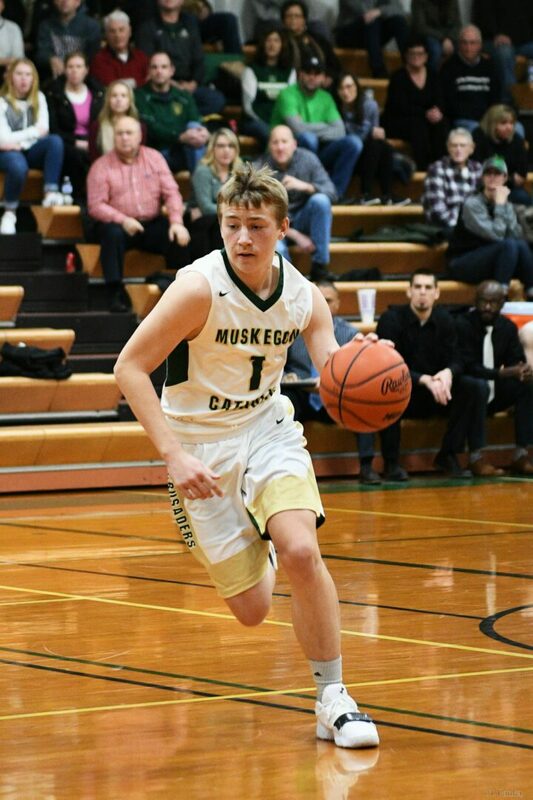 Jared Dugener produced nearly half of MCC’s offense, scoring 23 points with eight rebounds and four steals. 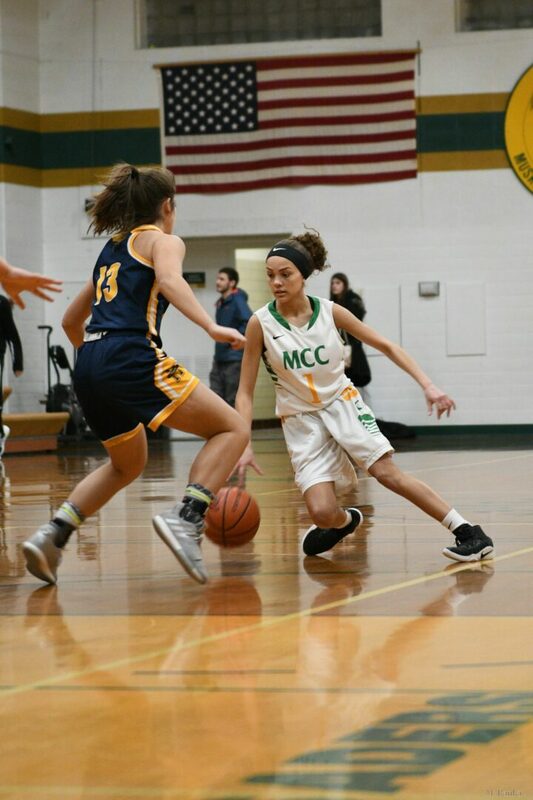 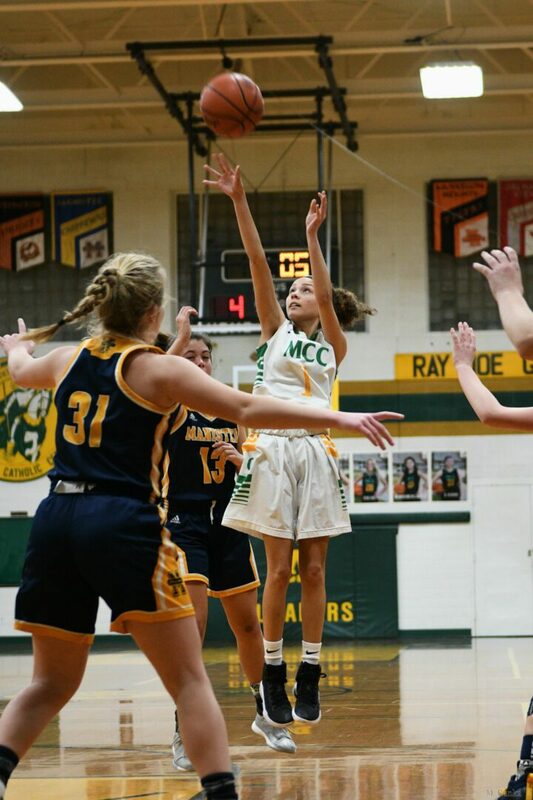 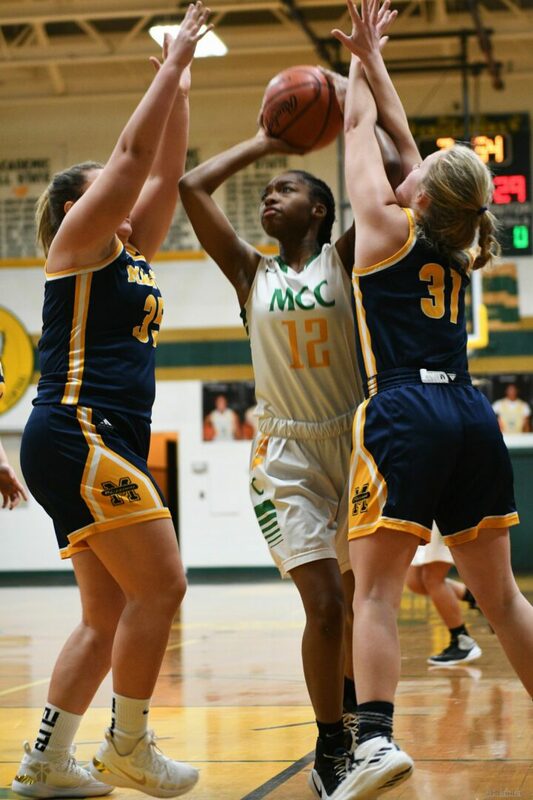 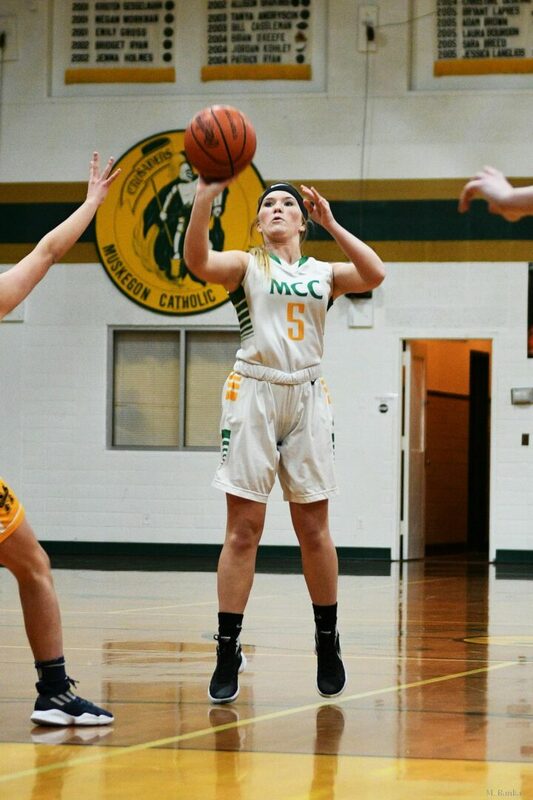 Jai Lyn Johnson led the MCC girls with seven points. 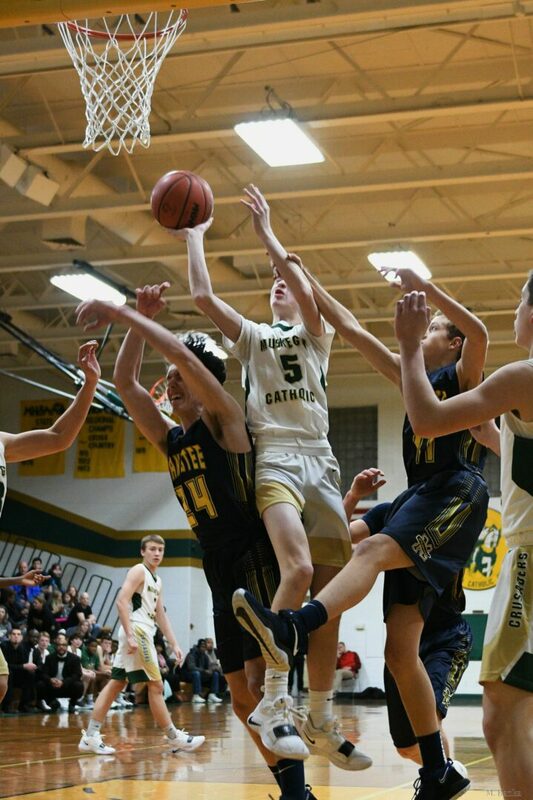 Photographer Michael Banka stepped into the gym to grab some shots of the Crusaders.